Bruxism is excessive clenching or grinding of teeth which can lead to excessive wear on your teeth and may cause permanent damage to your teeth and jaw joints. 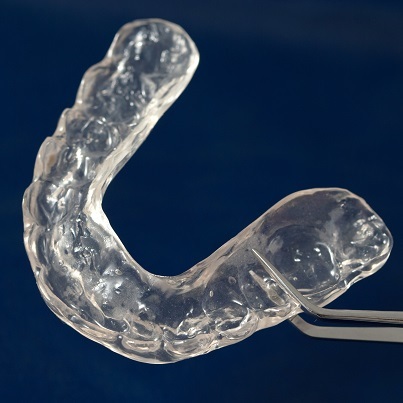 Bruxism may occur during the day or at night, often during sleep when you have no conscious control over clenching and grinding. You may be unaware you are grinding your teeth, and your partner is often the first person to notice the problem. Causes of bruxism is still being studied however it is believed a combination of physical and psychological factors may contribute to it. There are various signs and symptoms of bruxism, which can vary in frequency, duration and intensity. Our dentists at Lyneham Dental Care will work with you to treat your bruxism. Depending on your symptoms, your dentist may recommend treatment to remove the causes, change the behaviour that causes your bruxism and repair the damage caused by bruxism to protect your health. If you suspect you may have bruxism, or are suffering from any of the symptoms, contact Lyneham Dental Care. We can help you identify the cause of the problem and offer advice on the best way for you to manage it.